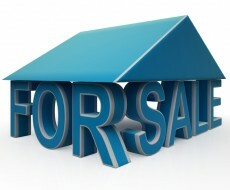 How to buy or sale your property? The purchase or sale of your property is more than just a simple deal: it is a decisive step. That is why we need getting to know you well, comprehend your priorities, ideas, cultural background, and wishes, in order to give you total support. Face to face management and communication, modern marketing guarantee our customers best results. Personalized service throughout the entire purchase process, in association with experienced experts, handling related banking, legal, tax, and other processes. We highly recommend the use of a licensed estate agent. BHP being the real estate agent knows exactly how and where to advertise your property in order to get the most attention. All enquiries will be handled fast and efficient and responded quickly by our sales team. A member of our team visits every property prior to listing it on our site, to ensure that the property matches our specifications and that your and our expectations fit in terms of pricing and sales presentation. We respect that each property is unique, so is every customer. It is extremely important to us that our sales team know each and every property we list in detail. If your property needs refurbishing works we can recommend our expert partners: architects, builders and designers. They will calculate the costs and eventually examine a possible project which can be helpful in promoting the property. We will negotiate and obtain an agreement with a potential buyer in a professional and transparent way. Full assistance will be provided as of the signature of the Promissory Contract to the conclusion of the sale and beyond. We are here to find the “right” client for the “right” property! 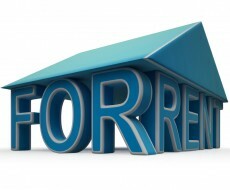 The best way to rent out your property is to hand it over to a professional and experienced team. They will provide a tailor made rental marketing strategy for you. We will guide you through the renting process, matching your requirements, a group of the best professionals in a range of services at competitive rates. Our rental experts will present your home through a targeted marketing approach to a carefully selected group of potential tenants. Rental managers will manage the entire process making the stay of your guest as pleasant and unforgettable as possible. These experts will set up the rental contract, organize the arrival and departure of the guests and make sure that all the necessary legal requirements are fulfilled, so that you can enjoy the benefits of “holidays free of hustle”. Managing the preparation of your home for rental, adapting it to the needs of the future tenant and cover every detail of his stay will be our priority. By providing the necessary staff at the demand of the client, we will offer you the opportunity of your home being a “private hotel”, equipped with full holiday services. It is also very important for us to find the “right” client for the “right” property: guests that will come back again.